Classic round knob by Richelieu. This knob features a slightly domed face with relief border on a straight post. This discreet knob works well in any kitchen or bathroom dicor. Designed for a classic style, this acrylic knob by Richelieu will add a touch of luxury and sophistication to your kitchen or bathroom cabinets. Mounting hardware is included for an easy installation. This Richelieu round knob will add flair and style to your kitchen or bathroom dicor. Its attractive circular design makes this knob a classic. This classic Richelieu knob features a wide border and unique cut-out design. The perfect finishing touch for your kitchen and bathroom cabinets! Contemporary 30 mm round knob in a matte black finish. This product works well with contemporary kitchen and bathroom decor. Hardware included. 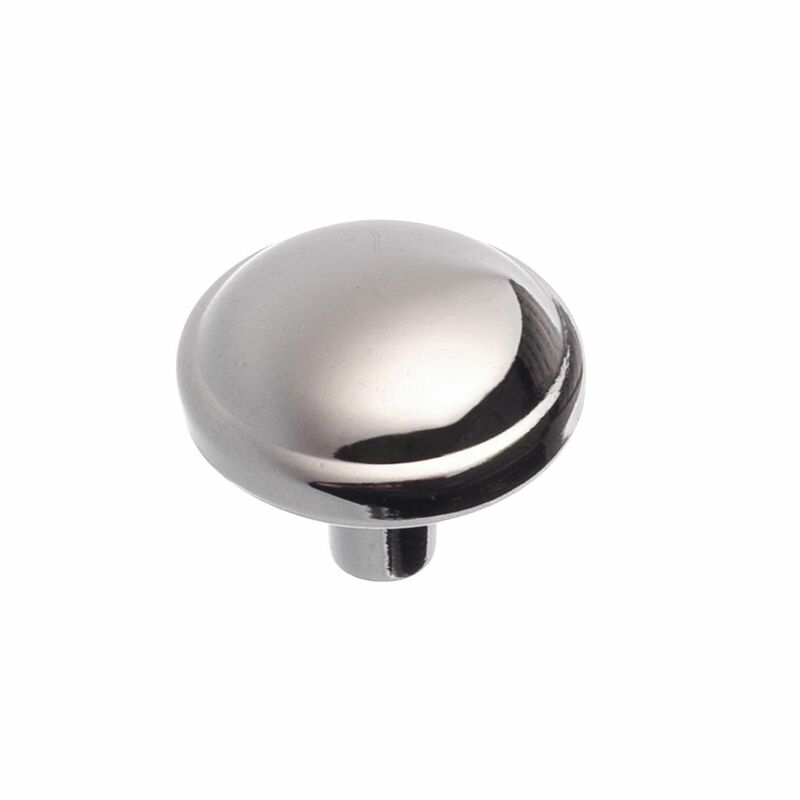 Traditional Metal Knob 1 3/32 in (28 mm) Dia - Chrome - Marseille Collection Classic round knob by Richelieu. This knob features a slightly domed face with relief border on a straight post. This discreet knob works well in any kitchen or bathroom dicor.